Welcome to The Free Astrology Center ! 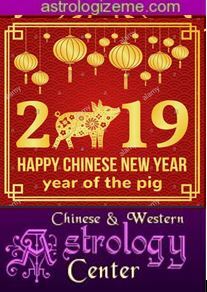 The Free Astrology Center is created to make the ancient Art of Chinese Astrology and Western Astrology available completely free to the public, and to demonstrate how anyone, professional or amateur, who is seeking improved mastery of the field of Astrology and Horoscopes, can take advantage of these ancient treasures of divine astral knowledge. Our web site equally welcomes a visit from a novice beginner consulting the many varieties of Horoscopes available, or from an expert in the field researching the advanced aspects of Love Compatibility or the unique concept of the Double Zodiac. Here you'll find a inexhaustible and completely free source of information which will help you acquire a solid understanding of the Art and Science of Astrology in order to live your life better, day after day, under the aegis of the stars. In addition, you can also enjoy and benefit from other esoteric disciplines such as First Name reading and Tarot and Cards reading as well. First Names are considered under their predictive aspects and therefore can make you understand yourself and others better. Tarot and Cards can help you foresee and control the evolution of your destiny. To begin, consult your favorite Horoscopes from our list of fourteen (and counting) varieties.